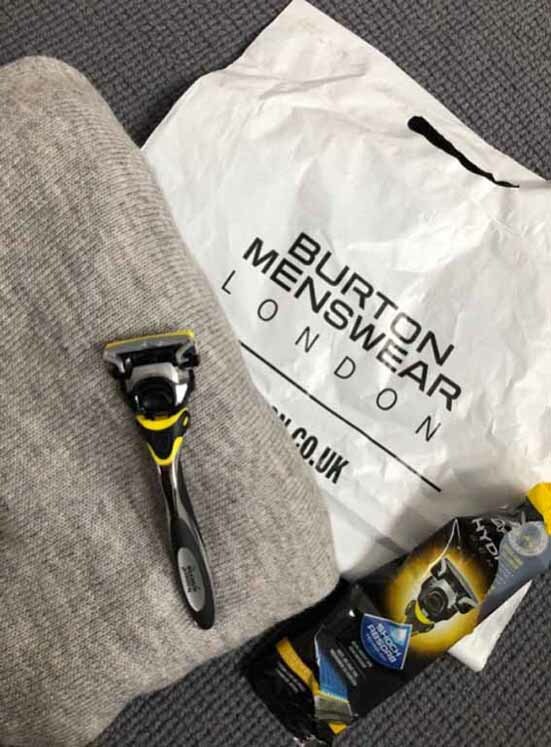 Planned and Bought: Client Direct – Wilkinson Sword Brand Manager. 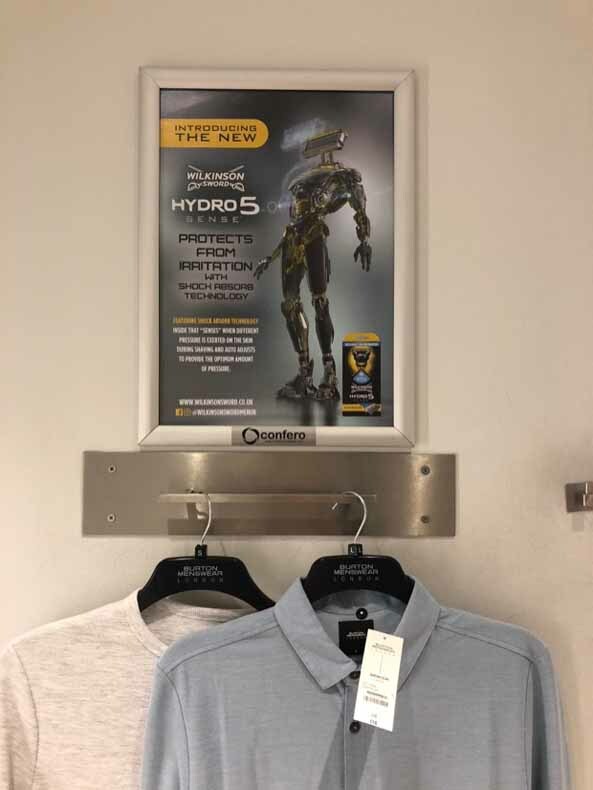 Edgewell Personal Care brand Wilkinson Sword campaign for the new ‘Hydro 5 Sense’ shaver, displayed through Confero’s male focused retailer networks Topman and Burton. 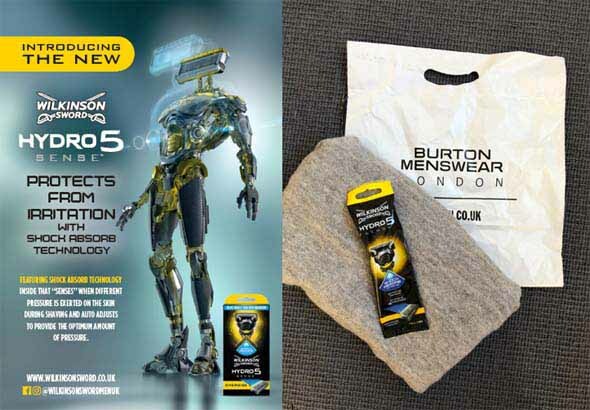 Over a four-week campaign period Confero distributed 110,000 full size ‘Hydro 5 Sense’ Razors to customers making online purchases, and purchases in selected stores with Arcadia Group fashion brands Topman and Burton. 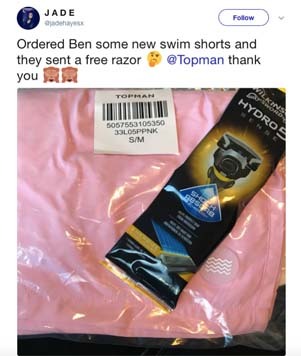 The high value product samples of the ‘Hydro 5 Sense’ Shaver – which retails at £12.00, was distributed free with purchase along with a bespoke £2.00 off redeemable coupon leding to great reception and feedback from consumers nationwide, as they took to social media and the Wilkinson Sword website to post their product reviews and feedback. 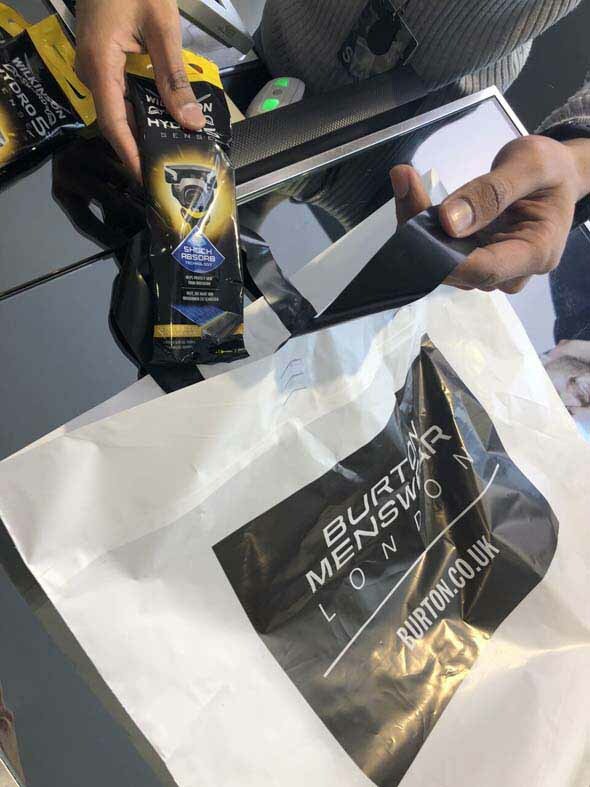 The primary Online Product Sampling campaign was supported by In-Store till Point Sampling with Purchase in Pre-Selected Topman and Burton stores in key conurbations across the UK with the added benefit of a National Fitting Room Poster campaign to further enhance branding and awareness of this sensational, innovative new product. 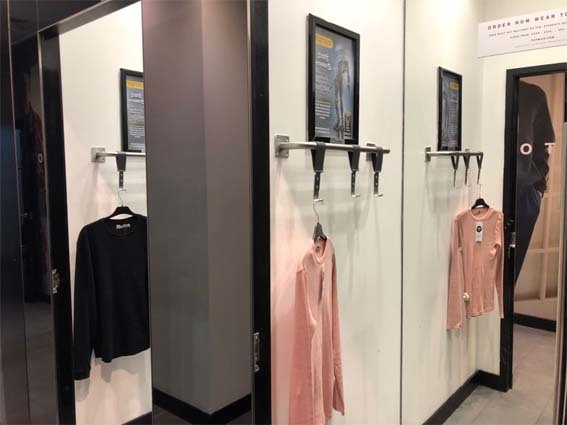 With fitting room dwell times of 5 to 15 minutes, the display of the distinctive poster artwork provided context to the free sample being distributed; customers that had made a purchase left the store with a full-size sample of the product they have recently seen advertised in the fitting rooms. 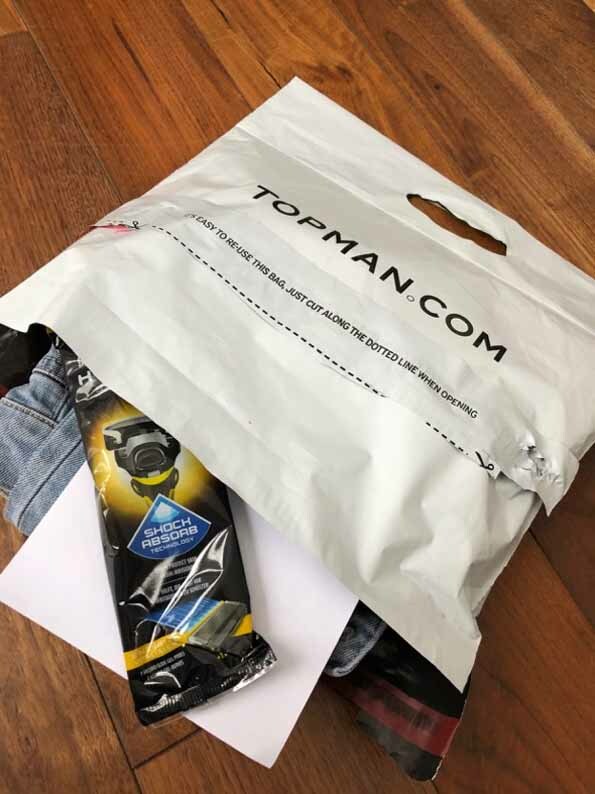 Customers were also encouraged to leave their feedback of the ‘Hydro 5 Sense’ via a designated URL to be in with the chance of winning the new iPhone X, thus creating a fully integrated experience for the consumer, and engagement with the Wilkinson Sword brand. Confero’s sampling service delivers highly targeted and controlled sample distribution, which ensures the product is received directly by the correct target audience and consumer.